Jesus was always very sensitive to the needs of the people. A blind man asked Jesus for healing. The man disturbed Jesus. And the disciples stopped him from disturbing Jesus. But He welcomed that disturbance. That is the love of God. A Moment to Meditate - yes! We can. Jesus is angry with the masses furiously asking them to get out of the church rather than a market place. In the recent times we find that commercialization of our faith and belief is eating into our system. Pictures of The Sacred Heart which we hold in the first door step of our houses , blessed and revered now finds place in garbage’s/ dustbins, kicked around in pavements, stuck on walls and corners where people deface. The pictures of Jesus of Mercy, Of Saints, are at no mercy too. Many of these are the advertisements for the numerous retreat sessions we have all along the year that many tend to believe it greater than the sacrifice of the Holy Mass. How are we going to get our people to understand the faith reposed in the catechism of the Catholic Church? Do we require to blare the shouts of Alleluia, with nerve racking blasts so that our multi religious society of elders and children keep quite rather be termed antichristian? What about our attitudes to watch this punishment to children studying for numerous exams? Are we persecuting them too? At the drop of a hat we have people who attend retreat sent out to the common masses, the business communities with the pictures of our Lord maybe with a novena asking for donations to such retreats. 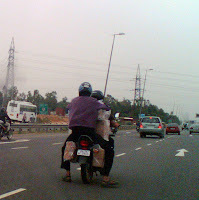 Isn’t it high time that we have a standard to refrain us from putting people in such tight spot? What has happened to our missionary way of life? Printing a coupon is all what is required for collection not knowing how the poor manages, many of them out of fear would part while the affluent will stand up only to be noticed. Many ways could be thought to generate funds but without resorting to such ways. Also the transparency in such accounts should be published which never happens. We find also that many of the present younger religious hold the costlier mobiles, laptops, motorbikes and a/c cars for PERSONAL USE. How much are they contributing as we deny to our children many of such to contribute to needs within poor families and the Church. I make this honest appeal to the religious community to hold retreats in a more spiritual way than resorting to shouts and chants to he heard in heaven, I am sure Our Lord is not Deaf. Children are not only a gift of God, but also the work of God. If God has given you children, then your first duty to God is to raise those children right. Your children are God's work for you. They're His children too, of course, but He wants you to take care of and train them. Love makes one feel very comfortable. When I move away from love, I create a vacuum within myself that is quickly filled with negative emotions, such as anger, resentment, jealousy, bitterness, and frustration. Love, on the other hand, is a combination of positive feelings of tolerance, understanding, forgiveness and gratitude. I can begin by loving myself, others, and life in general. In Orissa thousands of Christians have been attacked, rendered homeless, their homes ransacked and looted and burnt down, churches and even orphanages destroyed. The details about the destruction and killing in Orissa are more than the given number as many details are not available to us since we are unable to entering into these troubled areas. The State Government has proclaimed that everything is under control. In fact not much is known about Orissa situation to the outsiders. This is due to a well planned strategy to boycott. On the contrary, Christians are targeted in every way. 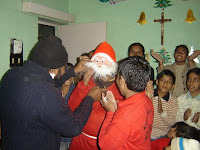 The Hindu outfits have planned to totally annihilate Christians from Orissa. Hindu fundamental groups Vishwa Hindu Parishad ( VHP) and Bajrang Dal (BD) are forcing all Christians, especially those from Kandhmal district, to become Hindus. It is not just a political agenda but a determined strategy to wipe out Christians. They follow particular pattern for this. The Christian Dalit and Tribals are forced to convert to Hinduism under threat. The fundamental group announces a date fixed for conversion in a selected village. Those Christian members belonging to the houses of that village are told to inform their family people to return from the relief camps or anywhere on that date. They will be asked to convert to Hinduism. They are asked to sign a document that it is done freely. If they do not accept, they are tortured and killed. If they become Hindus, they pay a fine of 1000 to 1500 Rupees. As a sign of becoming Hindu, they will be asked to destroy Christian statues, break churches and even were asked to kill the Christians who were unwilling to become Hindus. If they do not return, the Hindu neighbours are told that the houses, the lands belong to the Hindus. All their belongings are looted, burnt and destroyed. Since the Christians do not want to become Hindus, they fled to forests and are remaining in Relief Camps. There are around 23000 people in 17 relief camps. NGOs and individuals are not allowed to enter inside these camps to do any help. Medical help alone is allowed and these people are watched closely. The VHP and BD are specially hunting for priests, pastors and nuns and their families to be killed. These groups use country guns, axe, swords, bows, arrows, crow bars etc. The bodies were chopped off and hewed, people were burnt alive, buried alive, women gang raped. Some dead bodies of Christians are found in the fields, on the roads etc. Looting, arson and vandalization continue. The forces are mainly in the towns, main roads and are not moving to the interior. And hence crimes are freely committed by the miscreants with impunity. God is love, so we too are called to be love. Our communion with God flows into communion with our brothers and sisters. And when love is put at the basis of relationships, the parish community is transformed into a communion of mutual love, and thus the communion of love that is in God is reflected in the world. 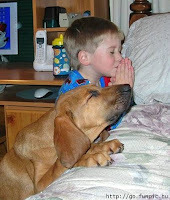 The shortest distance between a problem and the solution is the distance between your knees and the floor. I don't put glass windows because - I love birds and don't want one to run into it and get hurt. I don't disturb cobwebs because - I want every creature to have a home of one’s own. I don't await Spring because - I love all the seasons and don't want others get jealous. I don't put things away because - my husband will never be able to find them again. I don't make gourmet meals when I entertain because - I don't want my guests to stress out over what to make when they invite me for dinner. I don't iron because - I choose to believe them when they say "Permanent Press." And finally: I don't pull weeds in the garden because - I don't want to get in God's way, He is an excellent designer! -First, Commitment: a lifelong caring for the other, no matter what happens. -Second, Communication: a willingness to take time to listen, dialogue and share one’s feelings. -Fourth, Compassion: a capacity to understand weakness and sympathise with failure. -Fifth, Confession: the readiness to say, “I am sorry”, to be reconciled and forgiven. -Six, Conviviality: a sense of humour, to laugh at oneself and make others at oneself and to smile. -Seventh, Children: one’s own, adopted, grandchildren or those of close relatives, with whom life and love can be shared. Many compare between persons of different places (=culture) to each other. How can it be so? 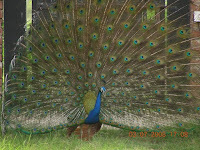 No body can be compared with another; because each one is unique or rather each one is unique expression of God. The character of a person is very much dependent on the climate of one’s home place. The habits, food pattern, behaviour pattern, way of dressing and so on. Jesus always welcomed the uniqueness of persons, who were sincere to themselves, e.g. : Nathaniel at fig tree, Mary Magdalene at feet of Jesus, Peter with his denial, Thomas with his doubt, etc. Jesus never forced them to be different than what they were. One should not be forced to become a different person but help to become what God wants one to be. The duty of the parents is to find God’s plan to each one and guide accordingly. This is the reason we say, one should not be forced (including parents to children) to become another person. It does not mean that one should be allowed to do anything the person likes. Holiness is the real status of a human being. Man is created in the image and likeness of God (Gen 1:26). Holiness is one of the characteristics of God. So by creation man is HOLY. We speak of dirt on a cloth because dirt is an addition to it. Many speak of the faults of a person. This is because faultlessness is the real status of a person. Many wonder at holy people. Why? One must wonder only at a sinfulness of a person because it is an addition. Normal stature of a human being is holiness whereas sinfulness is an addition. Of all the possessions we have, the most valuable is life. Human beings may still kill each other in wars; barbarism and disregard for human life may still belong to our age; human life may appear cheap when we see bloodshed so much. Yet it is only other people’s lives that men treat cheaply. It is always true that one’s own life remains for ever the most previous. Yet, our Lord tells us in Mathew’s gospel: “Lose your life for my sake” (Mt 10:39). This saying of Jesus must have left his listeners staggered and bewildered by its sheer incredibility. We too will never understand Jesus until we understand that he came down from heaven in order to turn our worldly ideas about life upside down and to replace our worldly dream of the good life with a vision of a cross for eternal life. Many parents are trying their level best to take care of their children. But most of time children turn against them. It is not enough that we give, but the other must be able to receive what we give. Many children are not to obtain the love and concern of the parents in the way they present it. Some time a vacuum is created between them. Either of the two has to change or rather grow higher to the level of the other. Why the parents fail? Their way of dealings may depend on their past experience and understanding. The expressions may differ from person to person. The children must feel the depth of love the parents have for them. If they both succeed in it, many of the parent-child problems can be solved. Holy family, Joseph, Mary and Jesus, is the best example for us. The missing child, Jesus was found in Jerusalem temple. They were so much worried about it. But they handled this problem so lovingly. How? They prayed to God to know His will, and that was accepted and executed. So also the parents and children must spend time together to seek and accept the will of God. Many of Our children come to the turning point of their lives when they reach their 10th or 12th standard. The parents are in a mixed view point and tend to adopt the requirement of the situation than to access their interest or need. It is important to make them love their professional lives so as to continue enjoying life everyday. Wisdom is knowledge gained by experience and the most sincere contributor for a child is their parents. It is important to the parent to teach what they have learned or gained. Imparting this abundance of wealth is the greatest gift of a Parent rather than send them easily to some tuition centres while working to make that money. As long as this is within their learning it is easier but seek professional help only as an alternative even at the same time trying to morally help with the lessons taught by such tuitions. In an age when most of the Indians are literate one need to sacrifice time to involve the child to confide in. Creating a new bond of attachment and closeness improves the child to be motivated positively. It is also not the highest marks or percentages that are important but the contribution of such sacrifices for imparting the knowledge. Any grading will indicate only the aptitude of the person to what they are evaluated but on the scale of life we find such evaluations are impossible except by the Almighty. If we look into the lives of animals we find how such cycles are nature bound, how a young cuckoo learns to fly, how a cub is made to hunt, how a herd protects a young offspring. We must learn many such Lessons of Life to be richly cultivated into our lives as what our creations was meant for. This cycle will contribute in a long way to bring about family unity and love with the importance of sharing knowledge. Learning a profession is also not to be taken as a benchmark for making more money, as being selfish but as contribution for the society at large. How many of us take our time out to be with our children to sacrifice and give to them what we have gained teaching a lesson of our lives maybe a failure or a success story. If many of the children are told of the struggles of the Parents/ Grandparents/relatives, it would invoke a great feeling of responsibility to wake up in their lives. On the contrary we find many parents shying away to secretly shield their failures while trying to present themselves wealthy, giving to all want of their children. Perhaps this is one of the corner stones of many failed individuals. The older generations were lucky in this respect to gain from the elders in a joint family arrangement but now that being destroyed the child have not been exposed to sincere relationships, sacrifices and love. I hope that we can come back to our wisdom of ages to start all over again, shun away unnecessary luxuries while trying to focus to bringing up yet another responsible generation to live, enjoy and be happy in all their lives thereby praising God always. In his homily, the Pope said that "with the gift of Himself in the Eucharist, the Lord Jesus ... raises us up again ... and puts us on the journey with the power of this Bread of life. ... The procession of Corpus Christi teaches us that the Eucharist wants to free us from all distress and discomfort ... so that we can resume the journey with the strength God gives us in Jesus Christ". "Without the God-with-us, the God Who is near, how can we sustain the pilgrimage of life, either individually or as a society or a family of peoples?" asked the Pope. "The Eucharist is the Sacrament of the God Who does not leave us to journey alone, but puts Himself at our side and shows us the way. Indeed, it is not enough to keep going, it is important to see where we are going! Progress is not enough if there are no criteria of reference". A couple of weeks ago, I met a lady who runs a shop in nearby town. She speaks good English unlike other natives of Rewari, Haryana. In our short discourse, she disclosed that she was an Engineering graduate. She gave up her job-prospects only to take care of her family. There are many people who count very much on taking care of their families. Let me put it my own way: they are aware of their primary duty. For a person who is called to family life, the primary duty is formation of the family. It includes sharing God’s love, concern, care – more time and space for the beloved ones. According to a recent study many parents are spending only 30 minutes a day with their children. The children are too much occupied with their school and tuitions. One must take care of the family with more time than money. Presence of a person makes present the total person – talents, love, concern, care, generosity, spiritual values, social values, and so on. Totality of the person is made available. Therefore family members must find time to be together. We are very often influenced by others. Our character, likings, desires, decisions, etc. are formed on the Inspirations and suggestions of others. This can be positive or negative. The positive part of it is called influence where as the negative is temptation. One can be influenced by others’ good character. Nevertheless, when someone influences us to commit a mistake we call it a temptation. A person may inspire (influence) you to pray. Another may inspire (tempt) to lie. All these are influences. Many speak of temptation only in relation with the 6th Commandment. Equal importance should be given to all Commandments. When such an influence is positive one, the influenced person may own it up. It may not be so in the case of negative one. The one who falls into temptation may remain ignorant about the backdrop. However, one who brings about temptation is more sinful than the former. According to the words of Jesus, it is better for those who cause temptation to be thrown into deep sea. Also Civil law speaks of persons who commit crime that they are more guilty of the offence. The big we are, bigger the tolerance! Tolerance of a person depends on his/she achievements or growth level. Children are the least tolerant ones especially at adolescence. Parents are the most tolerant ones in family life. The higher we grow, more tolerant we become; the lower we are, least tolerant we become. Wish you all the BLESSINGS OF PENTECOST. This is the birthday of the church. Let the Spirit be active to make us united. Pentecost, the season of the Holy Spirit, is otherwise known as the "birthday of the church." In theory, Pentecost should be recognized, along with Christmas and Easter, as one of the three most important holidays of the Christian Church. Here's why. The Christian holiday also derives from the Hebrew celebration, Shavuot, which was held 50 days after Passover and was associated with the first harvest of grain in the spring. The Jewish holiday, also referred to in the Bible as "the feast of weeks," came to be identified with the revelation on Mt. Sinai when Moses received the Ten Commandments. It may also reflect still older, pagan festivals celebrating the return of life to nature following the "death" of winter. Given the importance of Passover, the Sinai tradition and the spring harvest festivals to both Jews and early Christians, one begins to understand the significance of Pentecost. Why is Pentecost so important for Christians? It is connected to Christianity's central image of God as Trinity. Over many centuries Christians have come to understand God in three ways. First, as God the Creator in nature; second, as the Son, in the story of the life, death and resurrection of Jesus; and finally, as Spirit. The Spirit represents God as living and active in the world today. It signifies the fact that the Christian faith is not just about events that happened in the past, rather it concerns the present and the future. The Spirit is God's animating presence in the church, and indeed, in life itself. Hence, without its Spirit, the church is dead, and without the Spirit, all that is creative and wonderful in life itself ceases to exist. Many scholars have concluded that you cannot really understand John Wesley, the founder of the Methodist movement, unless you understand his mother Susanna Wesley. She was so instrumental in his life that she inevitably affected the movement and its direction. Americans know that Abraham Lincoln led this nation through perhaps its time of greatest crisis; but who was it that made Abraham Lincoln the man that he was? I know what Lincoln thought. He said it was his mother. The poet, Francis Thompson, once wrote: “Nothing comes and nothing goes, that is paid with moan; Jesus, facing imminent death, voices his feelings about pain and joy. He says sadness and pain in general will eventually be conquered by joy and happiness. The example of a mother giving birth to a child is presented here to demonstrate how pains become lost in joys. When a mother converses with others about her baby, she doesn’t constantly discuss how painful it was to give birth. She rejoices that the child is alive and well and her attention is turned toward the future. Everyone is familiar with the saying "it is better to give than receive," but few understand the meaning behind this powerful principle. Why is it better to give than it is to receive? The more you give, the more you receive. Success and living life abundantly are rewards granted to unconditional givers. An unconditional giver is someone who gives from the heart because they want to, not because they have to, or because they feel obligated to do so. When people think of giving they often think money. You do not have to give money to be an unconditional giver. When you give of your time, energy, resources, knowledge, skills, and/or talents, with no strings attached, you instantaneously set the Law of Giving and Receiving in motion. You become a magnet, attracting success and abundance. The universal Law of Giving and Receiving is both spiritual and scientific. For every action (meaning for everything you do, every act, effort, or transaction), there will always be an equal or even opposite reaction (meaning there will be consequences and/or repercussions). -Isaac Newton's Law of Motion. If we are to live according to our true selves, we must first do some exploring to discover who we are. Knowledge of how to find your inner self doesn't come all at once, nor does it come overnight. Most of us will never completely understand our inner selves. The first thing you want to do is get into a relaxed state of mind. If you know a particular relaxation or meditation technique that works for you, use that to quiet your mind. Once you are relaxed, bring your awareness to a certain part of your body and affirm to yourself that you are connecting with your inner self. I like to focus on the center of my chest because that seems to be an area where I have a lot of sensitivity, particularly when I feel excitement or distress. Knowing how to find your inner self will play a great role in how you interact in your relationships with others and is a very important undertaking before you attempt to form a lasting relationship. It is only through understanding your inner self that you can begin to deal with your issues, remedy past mistakes and learn how to feel good about your "self." As you work to develop the correct mindset on how to feel good about your self image, then how to find your inner self becomes easier. The Pope refer to "the spiritual value of the art of music which, in a special way, is called to infuse hope into the human soul, marked and sometimes injured by its earthly condition. There is a profound and mysterious relationship between music and hope, between song and eternal life", he said. "It is no coincidence that Christian tradition shows the spirits of the blessed as they sing in chorus, captivated and enraptured by the beauty of God. But true art, like prayer, is not foreign to everyday reality, rather it calls us to 'irrigate' that reality, to make it sprout that it may bring forth fruits of goodness and peace. You were exposed to either the belief that you are separate from all other people and things in this universe or that you are one with all that exists in this universe. These are the two belief systems that exist in our world today. These two belief systems come to the human experience via our thoughts, just as everything that has ever happened or ever will happen has come to us. All thoughts that come into our arena of thinking are based on one of two emotions. The two emotions from which all thoughts come to us are either love or fear. All thoughts that go through our heads are either love-based thoughts or fear-based thoughts. Remember, love is the core of what God is. God is love. God is life. God, love and life are interchangeable. The process of life is the process of God experiencing love. If we all lived in the realm of the absolute, the only thoughts we would ever have would be thoughts of love because love is all there is in the realm of the absolute. But we live in the relative physical world, so in order to know love as an experience we must also come to know the polar opposite of love, which is fear. Fear exists so that we can know and experience love. Often, when our mind takes over, our ego has taken control, the ego likes to criticize us, telling us what we should or shouldn't do. This can distort one's reality and we can quite easily wind ourselves up over nothing. Practicing presence is vital for a peaceful existence. When you are concentrating only on the present moment you are more able to act as an observer to your ego and decide not to pay attention to it, thus not taking your mind so seriously. Worrying about the past or the future is futile because it doesn't exist, only the present moment exists, and when we realize this we can rid ourselves of a great deal of worry over things that are not real. If all there is is the now, then we realize that we really have nothing to worry about, because the beauty of the present and everything around us at that moment takes over, and we can free our mind from suffering. And because presence makes us more aware of our surroundings, we begin to appreciate nature more and experience joy in simple, everyday things, so that we no longer need to look to the future for pleasure. • Walking up and down the stairs in your house or place of work, pay close attention to every step, every movement...even your breathing. Be totally present. • When you wash your hands, pay attention to all the sensory perceptions associated with the activity: the sound and feel of the water, the movement of your hands, the scent of the soap and so on. • When you get into your car, after you close the door, pause for a few seconds and observe the flow of your breath. Become aware of a silent but powerful sense of presence. When you feel your mind taking over, remember to return to paying attention to your breath. Breathing deeply in through your nose and out through your mouth will always return you to the present. We can become present simply by becoming more aware of our breath. These are some exercises that Eckhart Tolle talks about in his "Awareness Exercises"
"You are an inspiration to others to Pray........."
Love is the ultimate norm for every action. Love is what animates true justice and brings peace. and only in this order do laws have value. 1. When you seek the good everywhere, you find it. Seeing how much good there is -- everywhere -- supports you in trusting God or a benevolent Universe. 2. When you look for the good outside of yourself, you can gain an amazing understanding of the people and situations that ebb and flow around you. Deep understanding is a foundation for inner peace. 3. When you look for the good within yourself, you deepen your awareness, your acceptance and your authenticity. Knowing the goodness in the core of your being strengthens your foundation of inner peace. 4. When you look for the good in yourself, you are affirming life and honoring the divine essence within yourself and every other living being. Honoring the spark of divinity in all of us connects you spontaneously with inner peace. 5. When you look for the good, quite often a warm glow of peace may fill you. Recognizing goodness naturally evokes your inner peace. 6. When you see the good and share your positive viewpoint, you start to change others' perspectives and to alter situations for the better. You become an angel to yourself and those around you, and your inner peace overflows naturally and abundantly. 7. When you look for the good, you begin to notice more positive feelings such as unconditional love overflowing in your awareness. This loving compassion for yourself and others naturally expands your inner peace. 8. When you look for and find the good in situation after situation over time, you will quite likely find that your practical life merges naturally with your spiritual life, and daily activities are in a very peaceful flow that mirrors your inner peace. A Bensalem, Pa., furniture maker says he's found a holy item and he's been taking care of it religiously. Craig O'Connor has a block of wood that he chopped from a pine tree. On it, is an image of a Jesus-like figure with its arms outstretched. 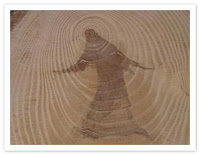 The tree rings form a kind of halo around the figure's head. "I was just covered in goose bumps," said O'Connor as he reminisced about his find. He had been helping out a friend, chopping trees in Burlington County nearly a year ago when he came upon the image. O'Connor said it looked like "Jesus ascending to heaven. Take me, that’s what it looks like to me. It's a natural stain, a natural sap stain." By counting the tree rings, O'Connor believes the tree was at least 40-50 years old. In the life of Jesus, after his resurrection, we see him bringing peace, joy, consolation to many different people. Death and violence and injustice did not kill Jesus and he does his work now in a different way. We are part of his risen life, and the way he works in the world today is through us. Whenever we look after the lonely or the down and out, try to make life’s conditions better for people who are in any way deprived, then we are sharing in the work of the resurrection. The call of the resurrection to is to spread faith and justice in our world: faith in Jesus as the word and love if God, and the justice of God, seen in the words and life of Jesus, the risen Lord. This is the ‘Mustard tree’ Jesus speaks of in the Gospel on which the birds can depend on. He speaks, inspired by God. He is a prophet, ‘Messenger of God’.